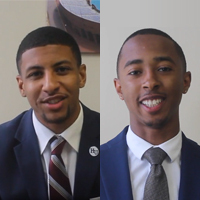 SGA President Justin Shaifer and Vice President Justin Williams want to send greetings and advice to the Hampton University family for the 2015-16 school year. As homecoming approaches and alumni travel from near and far to come back to their "Home by the Sea," this issue of the Student Connection takes a look back on former Student Government Association (SGA) presidents. The elected position of SGA president is for those HU student's that strive to make an impact on campus as well as in the Hampton community. Here is a spotlight on former SGA presidents and where they are now. For many years, there has been a lack of African-Americans in the STEM and healthcare field, including pharmacy. Three graduates of the Hampton University School of Pharmacy have extraordinarily defied the odds. Dr. Jamaal Allen ('14), Dr. 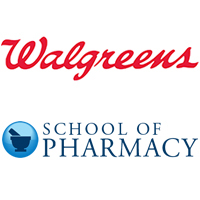 Rob Sweeney('13), and Dr. Ulysses Martin, III ('08), all African-American males, recently accepted general management positions at three out of the four Walgreens in the city of Hampton, Va. 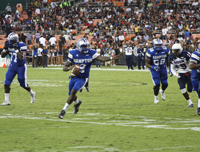 The Hampton Pirate’s 37-19 victory over the Howard Bison in the 2015 Nation’s Football Classic came on the 1,000 game in the program’s history. To commemorate this milestone here is a historic look back at some of the important names NS dates and in Pirate Football program history.